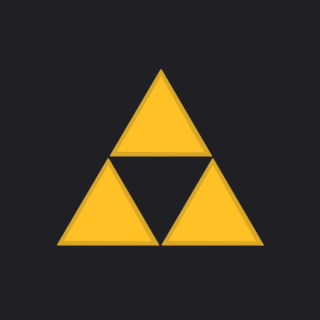 The team over at The Zeldathon Network is chugging its way through a 3-day binge of Zelda action in order to raise money for the American Red Cross! Throughout the event, prizes will be awarded to lucky viewers who donate to the fundraiser or spread word of their cause through Twitter. For every $2,500 the team fundraises, Mases, the webmaster of Zelda Dungeon, will be forced to make his way through one of the Phillips CD-i Zelda games! Check out their chatbox and send in a donation. It's for a good cause! There's a huge list of things that we have to fix, update, add, or clean up on the new version of the site, but it's going to be better than ever once we've taken care of the hard stuff! Please pardon anything broken that you see, and know that we are working hard on fixing it! Couple things I'll point out in this new version. On the right, you'll see a list of six songs and their artist/album information. When a song finishes playing on the radio, it updates automatically without refreshing your page. Very handy! All songs, artists, and albums now have their own pages, where you'll be able to post comments and request them. In the future we'll be adding more features allowing you to rate and favorite them as well. Don't worry, the giant wall of text on the request main page will be taken care of soon! We're really excited to be one step closer to finishing our vision for the site! Once we've got the site taken care of, we'll be able to focus on bringing some awesome content to the site and radio. Details on that and more are coming soon! I promise. Welcome to our new server, and new website! After some downtime, we're back with the launch of a new infrastructure and website backend. Read more about Welcome to Marconi!